Today’s post is a continuation of yesterday’s post. 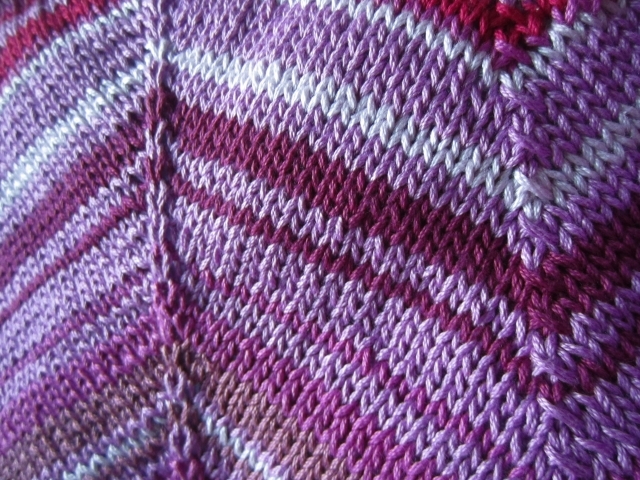 If you missed it, check out part 1 here: my crafty friends: missoni inspired baby blanket. 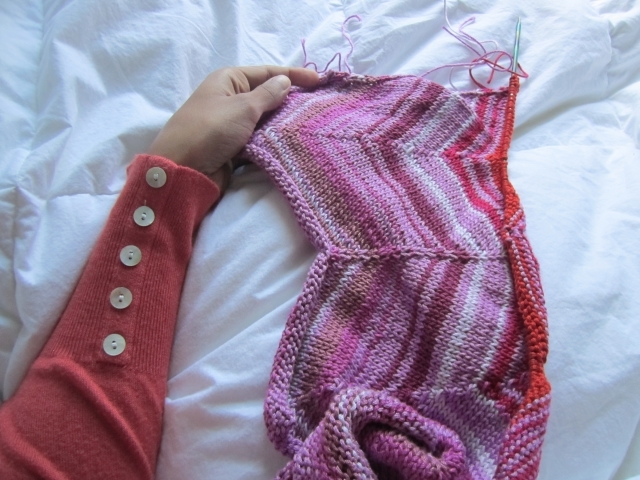 This time around I’m using a pattern by Kelly Kingston for Tangled Yarns. 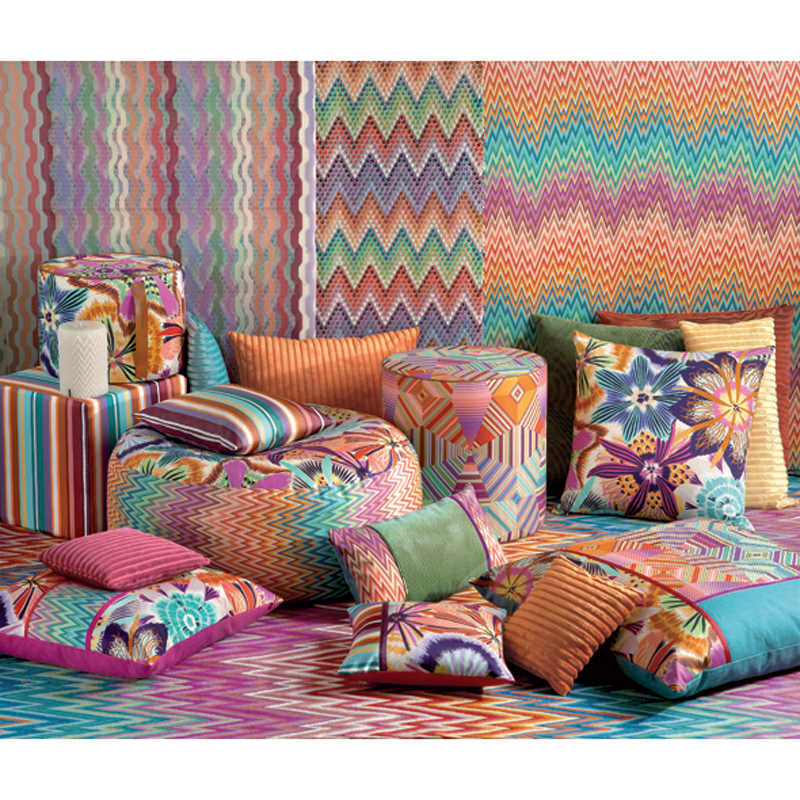 I got the color inspiration from a Google search of Missoni home prints. They have so many eclectic and fun color variations. This blanket is so fun to knit because as you add on more colors the overall image starts to look more and more different, making the pattern fun to work on and not at all tedious. I’m certain this will not be my last Missoni inspired blanket. With this current magenta, fuchsia and orange one, I’m not sure if I keep this blanket or gift it away, only time will tell. Again, I love how beautiful Krupa’s color choices and stitches are. Thanks you so much for sharing! 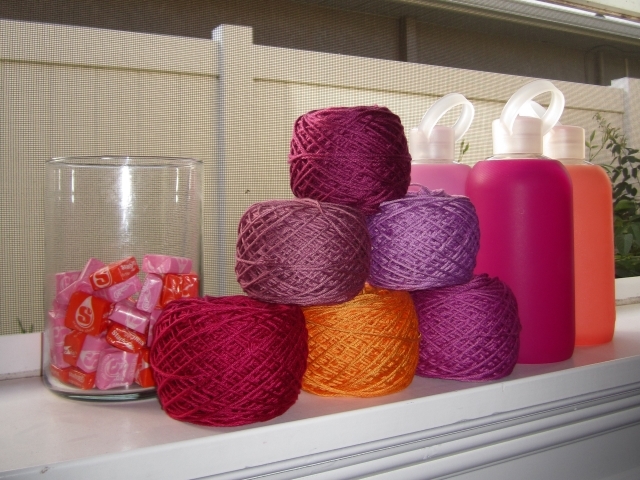 This entry was posted in crafty, my crafty friends, yarn and tagged Blankets and Bedding, Crafty Friends, Missoni, Yarn.